BART have gratefully received funding from players of People’s Postcode Lottery for improvement works along the Cam Brook at Midford. BART will be delivering a suit of work to build upon the 2018/19 Environment Agency funded project. The Postcode Local Trust is a grant-giving charity funded entirely by players of People’s Postcode Lottery. 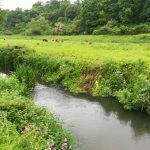 The Caring for the Cam Project will promote community ownership of the Cam Brook near Bath & educate local people how to protect the river into the future. It will result in a river that has better habitat & water quality for both wildlife & people. The project will deliver riparian fencing to prevent bank poaching, installation of a drinking trough away from the waterbody, tree planting to improve habitat refuge and bank integrity, a community river dipping and riverfly event and local talks to communicate how people can help protect their local river into the future. Please follow BART website and social media pages for project updates. The BART team have been busy this week removing several large blockages from the course of the Norton Brook. The blockages were deemed barriers to fish at most flow conditions and impound the waterbody, limiting habitat diversity throughout this stretch of the brook (approx. 300m). 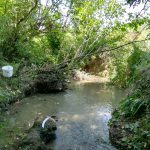 Removing the blockages has opened up a large stretch from the confluence of the Wellow Brook to fish and aquatic life. 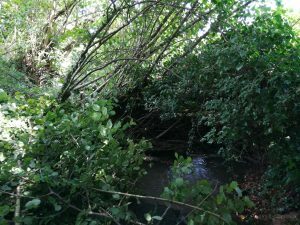 The brook will now be given time to geomorphologically adjust before BART assess the stretch for further habitat improvements. 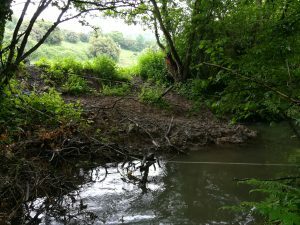 Before blockage removal – impounded flow conditions, very little light penetrating the stream, barrier to fish. After blockage removal – riffle creation (potential fish spawning habitat), sinuosity re-instated, light penetrating the stream, fly life has already started to return. 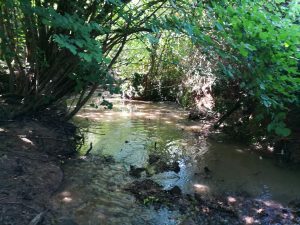 Before blockage removal – reduced flow conditions due to impounding effect of sleepers and other debris that has collated; barrier to fish during most flow conditions. This work is part of the first delivery phase of BART’s Restoring the Wellow, Midford and Cam Brook project funded by the Environment Agency’s Water & Environment Improvement Fund. For more information with regard to this project, please get in touch with simon@bristolavonriverstrust.org. 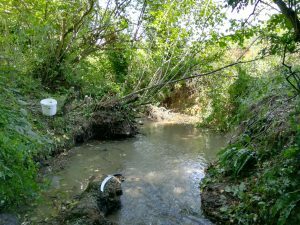 BART has recently secured funding via the Environment Agency’s Water & Environment Improvement Fund to deliver habitat enhancement projects in two locations along the Cam & Wellow Brooks. The project aims to directly improve two water-bodies that are not meeting Water Framework Directive targets – in particular failing for fish where the classification has declined to poor in the 2016 cycle. The project scope was developed in partnership with Avon & Tributaries Angling Association, who own the fishing rights of these waters. To date, BART has delivered stakeholder engagement, secured landowner permissions, finalised the project design and secured the required permits to physically deliver the works. Initial clearance and blockage removal will be underway very shortly. Problematic sedimentation and diffuse pollution – there are multiple locations where livestock poaching is exacerbating bank erosion, causing increased yields of suspended sediments and faecal matter entering the river system. Current practice is likely to be detrimental to the health and recruitment of fish and other aquatic organisms including benthic invertebrates. 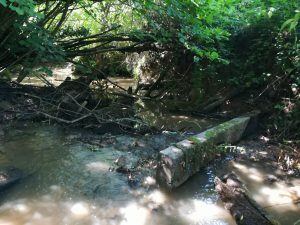 Poor fish access and supporting habitat – boulder weirs are impounding the flow of the river whilst creating barriers to smaller fish. As a consequence, a stretch of the river has become canalised, characterised by sluggish flows and limited habitat diversity or niches. Limited fish spawning habitat – at present, high-potential spawning habitat is inaccessible to migratory fish due to blockages caused by fallen trees, waste material and collected detritus. Blockages also impound the river, creating unfavourable conditions for fish spawning. If removed there is potential to re-introduce idyllic spawning and juvenile refuge habitat. Livestock poaching is also extensive throughout this reach and will be addressed. Image 1. Bank poaching contributing fine sediments and clogging potential spawning riffles.